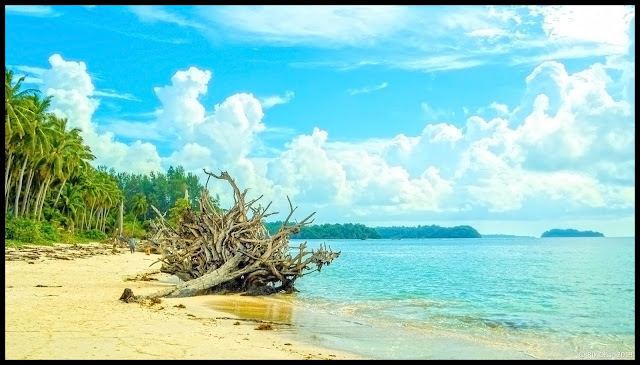 Wandoor Beach Situated 25kms east of Port Blair, Wandoor beach is famous amongst tourists and locals alike. The picturesque scenery of the beach makes it ideal for swimming and coral sightseeing. The road journey to Wandoor is very scenic. 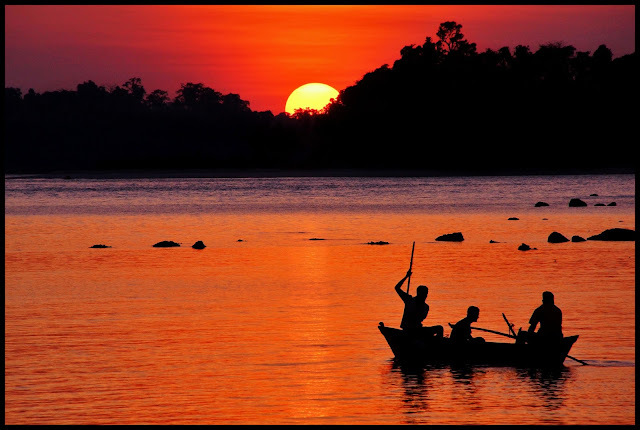 The route after Garacharma is surrounded by lush green trees of coconuts and mangroves. There are many agricultural research farms of ICAR, situated between the villages of Dhani Khari and Sippighat along this route. Wandoor Beach is located approx. 1 km after the marine park office. These buses goes upto the parking stand near the beach, so, if you wish to leave the buses at marine park office, you can leave there, else you can go directly to the beach, 1 km after the park entrance. The scenic beauty, vastness of the ocean and beautiful islands looks very charming from the beach. The sea water looks absolute blue from the beach and overall, its a beautiful sight. 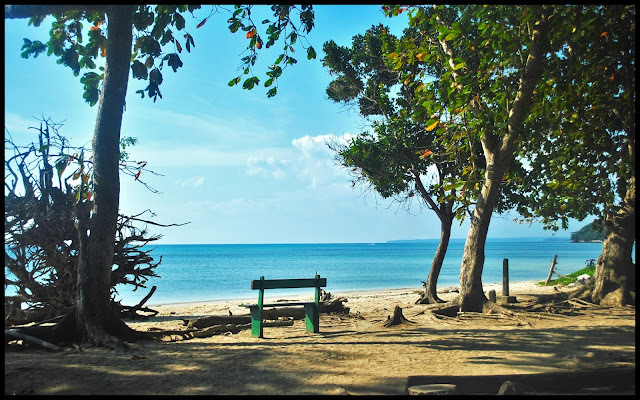 It is a nice and ideal beach to spend few quiet hours, away from the city of Port Blair. The beach is long enough with a giant uprooted tree in the middle, creating a very beautiful scene. Apart from swimming, Wandoor is also an ideal place to just sit and relax. Some wooden benches are there along the beach. Just sit and enjoy the beauty of nature. Food and coconut water, known as Daabh is also available near the beach.